July 26, 2016, 3:20 PM · In an effort to promote the coverage of live violin performance, Violinist.com each week presents links to reviews of notable concerts and recitals around the world. Vadim Gluzman performed Mozart 3 and the Tchaikovsky with the Colorado Music Festival, and performed works by Franck and Tchaikovsky in recital with pianist David Korevaar. The Daily Camera: "His comments from the stage have been affable, his performances transcendent." Vadim Gluzman. Photo by Marco Borggreve. Lisa Batiashvili performed the Dvorak with the Boston Symphony Orchestra. 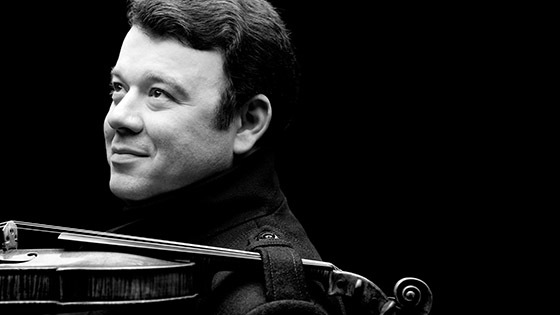 The Boston Musical Intelligencer: "Batiashvili could have done more to distinguish the violinistic style of this piece from that of, say, the Brahms Violin Concerto or other Romantic war horses. While it is certainly a matter of taste, she opted for a more German than a Czech Dvorák." Berkshire Eagle: "As the evening's soloist, Lisa Batiashvili seemed to struggle against the heat as she played the Dvorak Violin Concerto. The performance was patchy; the showy aspects came across more strongly than the lyrical and pastoral ones." 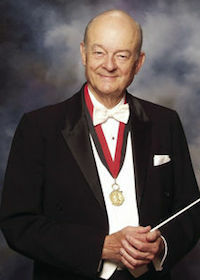 James Ehnes performed the Strauss with the Eastern Festival Orchestra. Greensboro News & Record: "James Ehnes performed the three movements with dedicated passion and engaging lyricism." Amy Cave performed Mozart's Violin Concerto No. 1 with the Vermont Mozart Festival. Times Argus: "Cave too showed a real understanding of Mozart as she delivered the lyrical lines, along with the virtuosic passages, with assuredness, sensitivity and musical depth. The Adagio, in particular, was gorgeous. Although Cave hasn’t learned yet to project as a soloist, her performance was beautiful." Peter Hanson performed Bach with the Carmel Bach Festival. Monterey Herald: "Hanson’s virtuoso brilliance in the composer’s lovely 'Violin Concerto in E Major' served as centerpieces of the program." In other news, longtime Chicago Symphony Orchestra violinist Edgar Muenzer died July 22. Wishing all the best to his friends and family. Chicago Tribune: "'(Founding and directing the) Park Ridge Civic Orchestra was how Edgar wanted to give back to the community after a rewarding lifetime in professional music,' Pam Benitez, president of the Park Ridge Civic Orchestra, said in a statement released by the group. 'He was a great-hearted visionary who never stopped sharing his talent and passion for great music.'" July 26, 2016 at 11:36 PM · "the Mozart" which one? He wrote 5 for violin. July 27, 2016 at 12:20 AM · G major - the link is right there to read the review! I added it in there, though, it's a good idea. July 30, 2016 at 05:36 PM · Hang on a second! Can someone explain Gluzman's headshot to me? Is there seriously a need to find new and edgy ways to have your picture taken with a violin? -"Maybe you could hold it up in front of half your face?" "No, no, that's too cliche"
-"I got it....take off all your clothes and hold the violin in front of your chest!" "no, no....what am I, a piece of meat?" -"OK, this is it: hold it over your shoulder like an ax!" "My shoulder...I can't-I have these weird shoulder flaps that are getting in the.....That's it! You're a genius! I'll hook the fingerboard UNDER MY SHOULDER STRAPS!!"